Newway Towing’s affiliate team of licensed technicians delivers certified services, operating to the highest standards in every case. 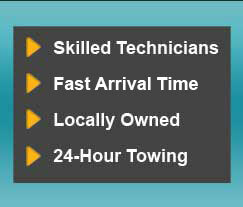 We offer 24/7 towing, roadside assistance and auto locksmith. Next time you need the professionals, call us on (415) 870-3377 !